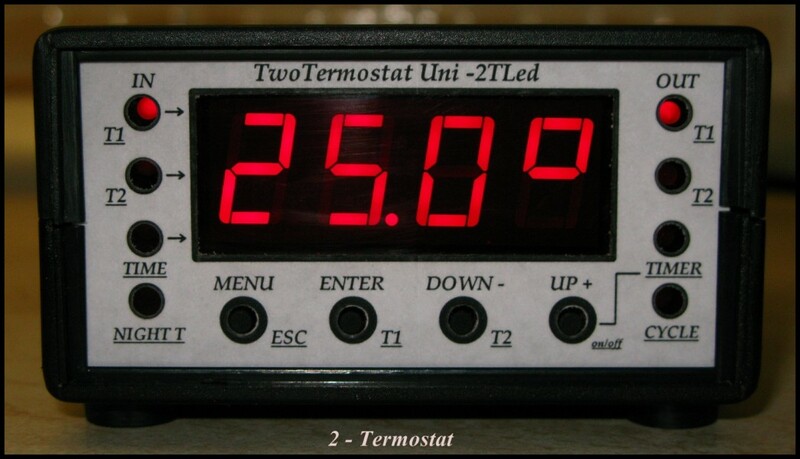 Thermo & hygro control to terrariums,rack or incubators. Possible exchange for Morelia ssp,C.hortulanus color,L.mexicana. 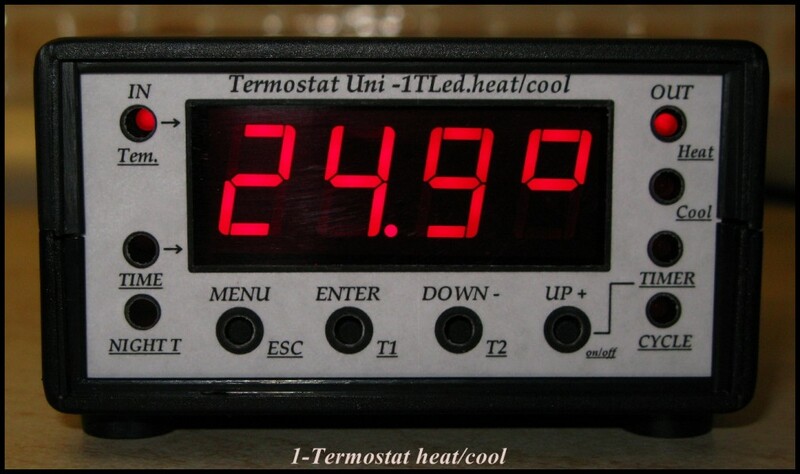 Thermostat is intendet to measure and control temperature in one place. Temperature 10,0 to 99,9°C - step 0,1°C. Hysterezis (sensitivity) 0,1 to 5,0°C - step 0,1°C. Sound alarm of minimum and maximum temperature. 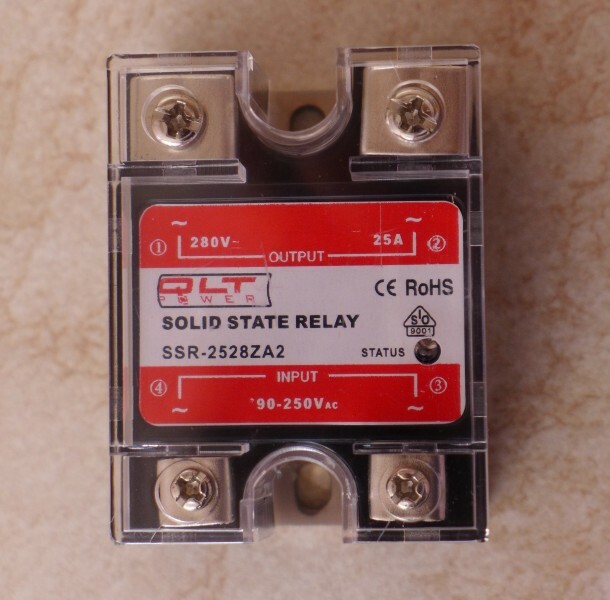 Sensor on cable lenght - 2m. 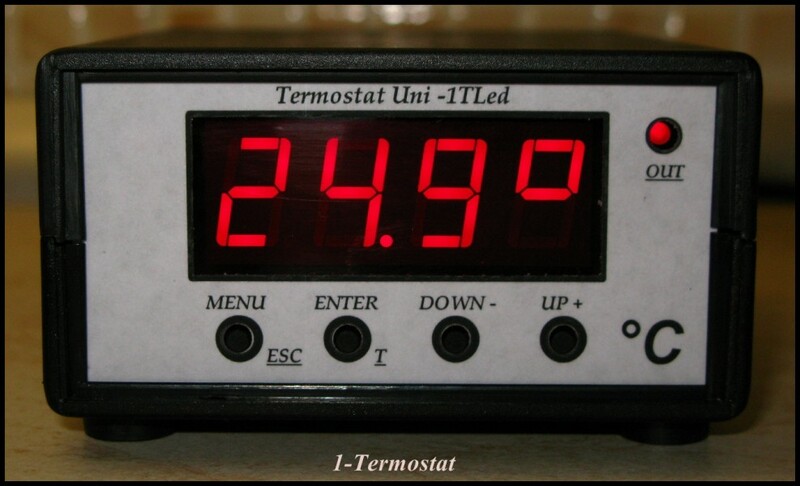 Thermostat is intended to measure and control temperature in one place.Day/night temperature. Timer switch on and switch off time. Cycler,cyclic switch (e.g.eggs rotation,air venting). 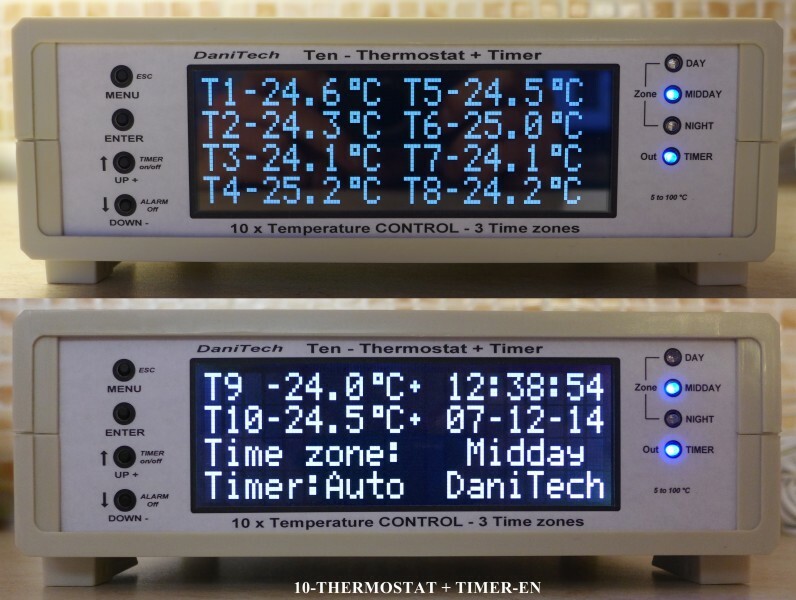 Thermostat is itended to measure and control temperature in two places+timer and cycler. 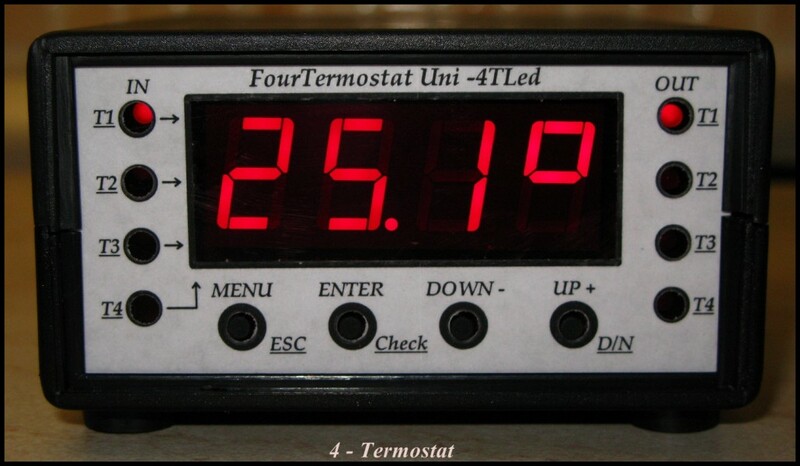 Thermostat is itended to measure and control temperature in four places. (four thermostats). 4 x Tempereture 10,0 to 99,9°C - step 0,1°C, 4 x hysterezis (sensitivity) 0,1 to 5,0°C - step 0,1°C. 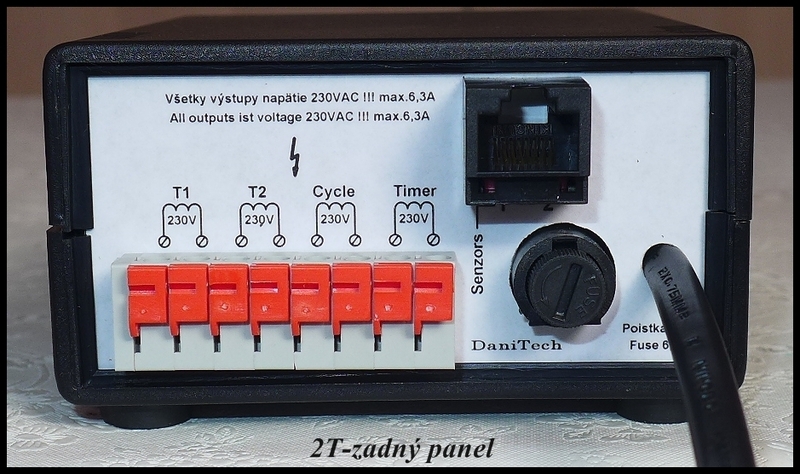 Outputs - voltage 4 x 230V AC/max.1000W (for all). 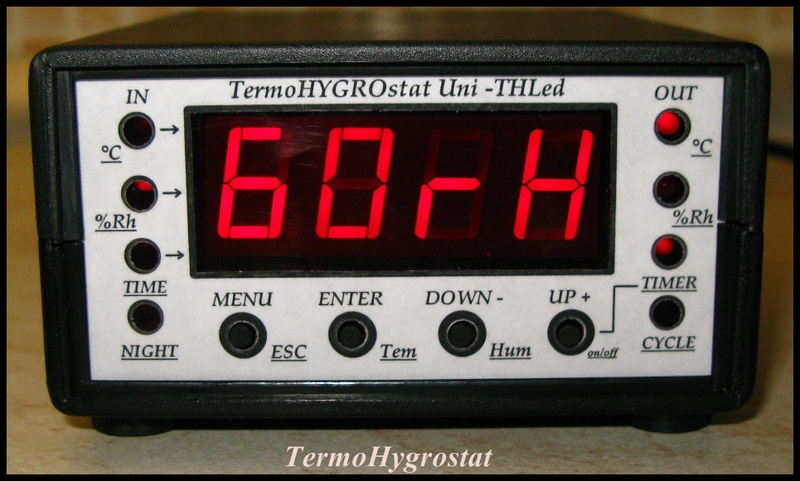 Thermo-Hygrostat is intended to measure and control temperature and humidity + timer and cycler. Tempereture: 10,0 to 99,9°C - step 0,1°C, hysterezis (sensitivity) 0,1 to 5,0°C - step 0,1°C. Humidity: 10 to 99% r.h., hysterezis 1 to 10% r.h. Different day/night temperature and humidity. 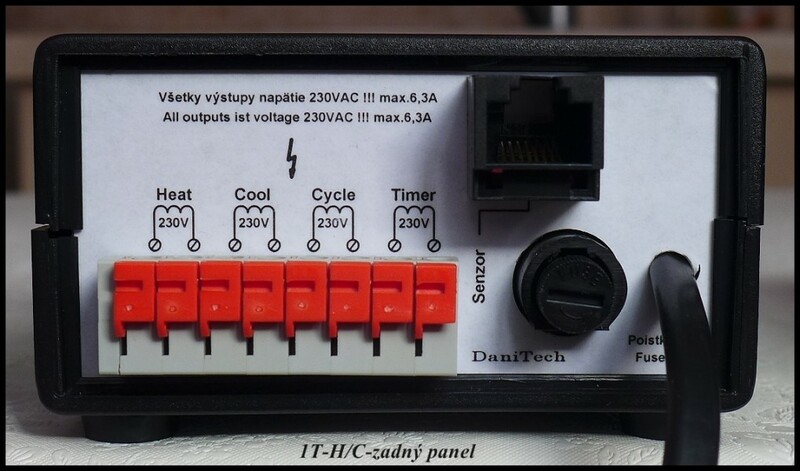 Device is designated for measurement and regulation of temperature and humidity. 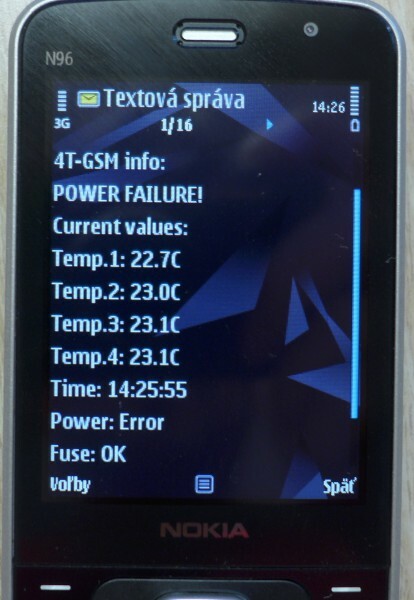 GSM - alarm on the cell phone. 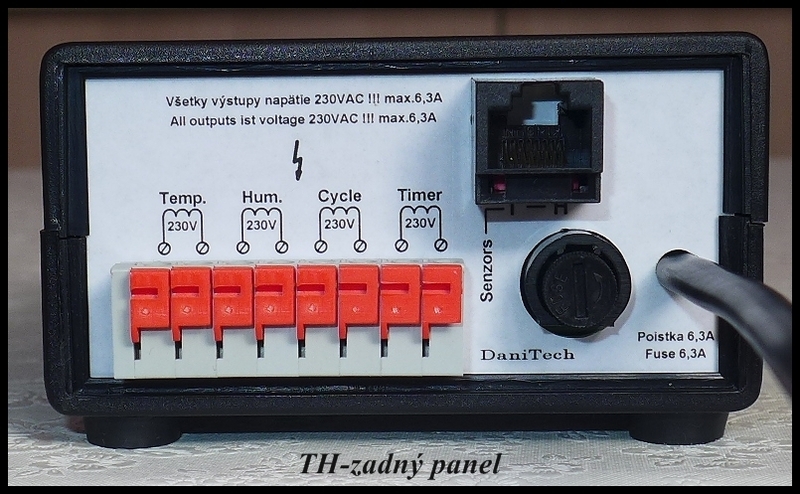 Device is designated for measurement and regulation of temperature at 4 positions. - Thermostat is intended to control temperature in eight different places. - Thermostat is intended to control temperature in ten different places. 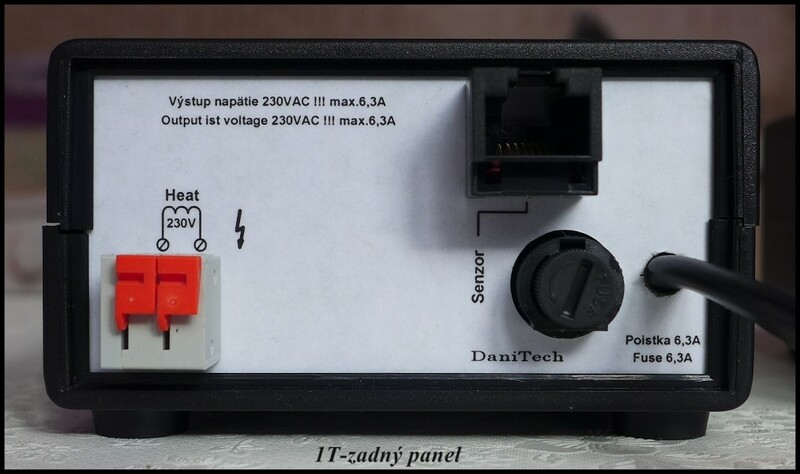 - Thermostat is intended to control temperature in four different places. 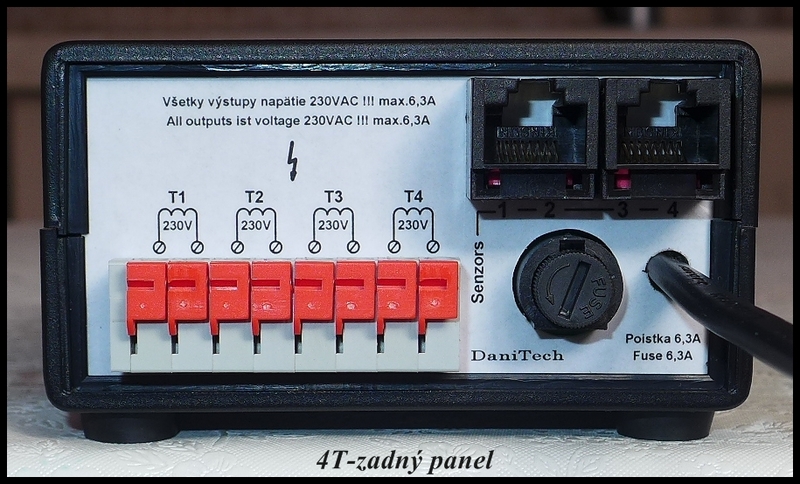 - Humidity control in four place. Device is designated for beer brewing and control of beer temperature. - possibility to set 1 to 8 cycles of brewing. 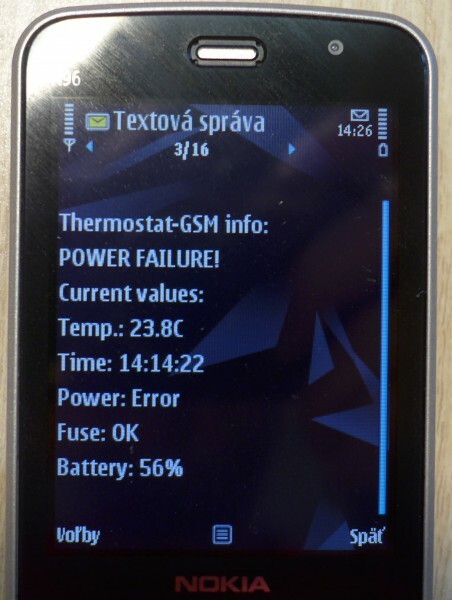 - alarm at loss or temperature sensor failure. 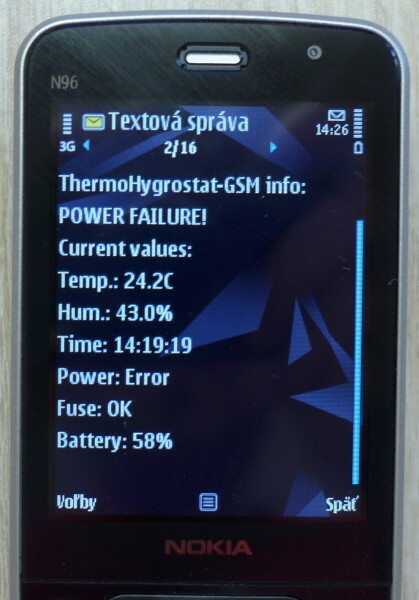 - alarm at failure (damage) of output fuse.